Guns – and weapons in general – tend to bring controversy. While they do have their uses, the potential for abuse is always huge, giving way to staunch opponents. Of course, at the other end of the spectrum, we can find the staunchest of advocates as well. If you appreciate the beauty of guns but don’t want to dive into the controversy that surrounds it, you might want to check out a different version instead. An edible version that just might give you more pleasure than cold steel. Chocolate Weapons gives you the ultimate near death (by chocolate) experience, something that you are not likely to forget. They have a wide array of weapons and ammos – all made of mouthwatering chocolate. How much better can it get? To match that gun shown above, you can hoard bullets of all sorts. 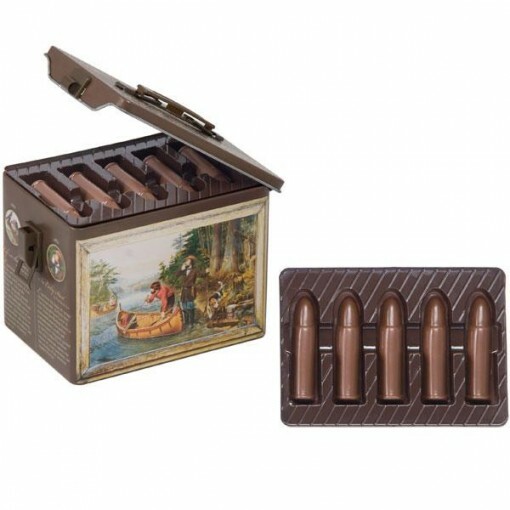 This set of chocolate bullets is simple, but the vintage tin does catch the eye. 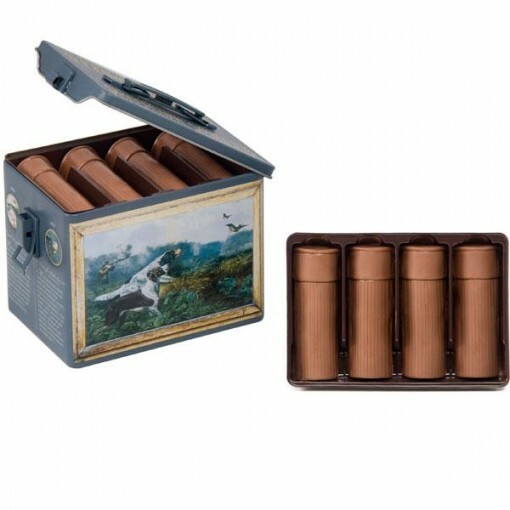 If you want more than plain chocolate, you might want to opt for this: chocolate peanut butter-filled 12 gauge shotgun shells. Deadly. Chocolate Weapons are not all about guns and bullets, though. 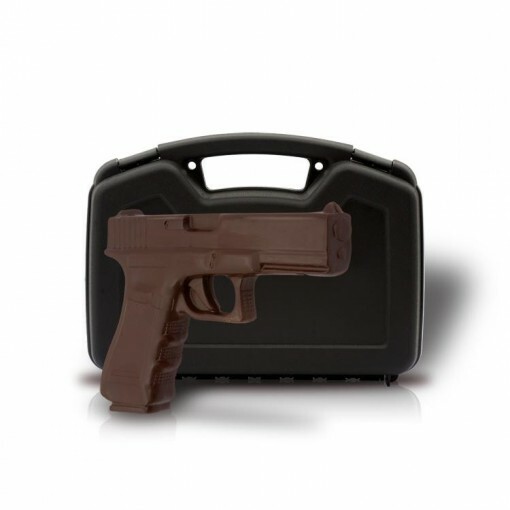 If you want something that packs a little more punch, why not go for chocolate grenades? 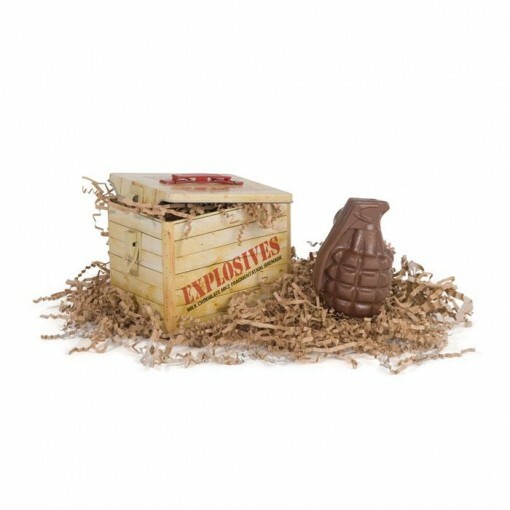 This chocolate grenade is modeled after the MK2 Fragmentation Hand Grenade (the one that makes you think of a pineapple). Think pure Belgian milk chocolate. That should get any chocolate lover going, shouldn’t it? Check out more of these chocolate weapons AND buy enough to get you through difficult times at Chocolate Weapons.